As is customary when a new Pixel phone debuts, Google has dropped the price of the older model on the Google Store. The Pixel 2 XL now costs $699, a $150 discount when compared to its original MSRP of $849. 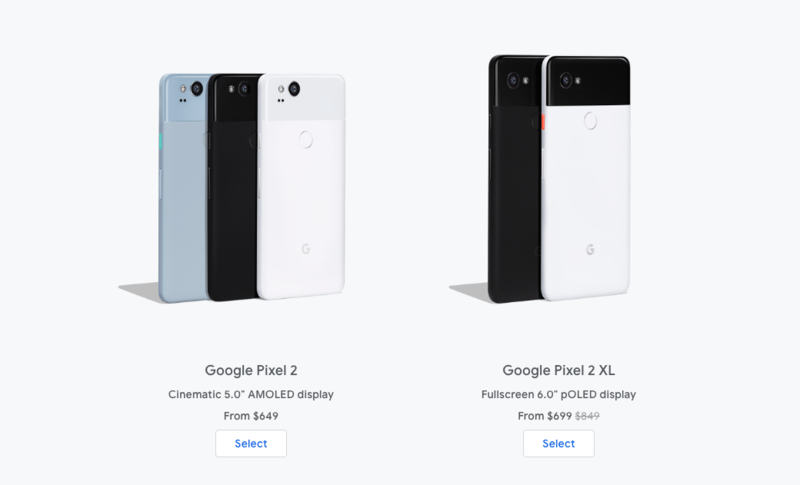 Oddly, the Pixel 2 hasn't been discounted at all, meaning it's now just $50 less than its larger brother. 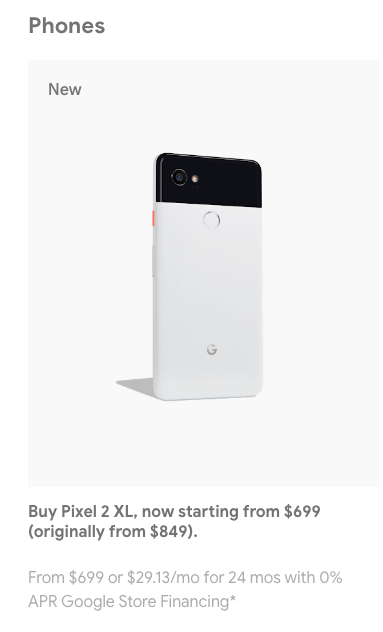 Of course, $699 is a pretty terrible deal for a year-old Pixel phone, and the 2 XL can be found on Swappa in great condition for around $450-500. It's also over double what Google is offering for Pixel 2 XL trade-ins. But if you really have to have a brand-new Pixel 2 XL right now, this is an option available to you.